The tech web has been abuzz this week about what has been dubbed “Heartbleed,” a code exploit in the OpenSSL encryption system, which could have allowed hackers and cyberterrorists to access login credentials from some of the biggest websites in the world over the last two years. Lists were quickly constructed to explain to users which sites were affected and which passwords they needed to change immediately. It turns out the NSA has known about the Heartbleed vulnerability for years, but never warned anyone that millions of Americans’ online identities could be at risk. Indeed, not only did they not sound the alarm, the NSA used the bug to access those online accounts in its already questionable surveillance activities. Major gun crime collectively dropped for a fourth consecutive year statewide, while firearms sales climbed to a new record in 2012 with 490,119 guns purchased in 444,844 transactions — a 16 percent rise over 2011, according to federally licensed gun dealer sales estimates obtained by the Richmond Times-Dispatch. How can this be? Democrats have been championing the idea that guns are bad. More guns clearly make us unsafe, right? The judge was on the phone. Outside, two armed guards escorted a white-haired judge from his parked car to the mirrored doors of the yellow brick courthouse in a county where little seemed the same anymore. “Judge! How are you doing?” shouted a reporter. “Everybody is making do as best as we can,” he said. We all knew it was coming. Well, it’s here. Sen. Dianne Feinstein (D-CA) continues her jihad against so-called “assault weapons” by introducing the bill she warned the world was coming earlier today. During the press event at the Dirksen Senate Office Building, the Democrats described these firearms as “dangerous military-style assault weapons.” The bill would also ban high-capacity ammunition feeding devices that can hold more than 10 rounds. Feinstein said the country’s “weak” gun laws allow massacres like the Sandy Hook Elementary School shooting occur. “Getting this bill signed into law will be an uphill battle, and I recognize that — but it’s a battle worth having,” Feinstein said in literature handed to reporters at the Thursday event. Feinstein is right that it’ll be an uphill battle for the bill. However, Feinstein has to know just how little of a chance this bill has. The bill will also essentially turn all currently possessed firearms into Class III weapons. That is the same classification of guns as fully automatic machine guns. Now, this will mean that those AK and AR pattern rifles are about to soar in value should a bill like this actually pass. Both sides of the debate on so-called “assault weapons” have been in high gear lately. Sen. Dianne Feinstein (D-CA) had already declared her intention to introduce a new assault weapon ban before the horrific tragedy at Sandy Hook Elementary School thrust guns into the national spotlight. However, most debate was really centered around the 1994 Assault Weapon Ban because all we had was Feinstein’s statements. There wasn’t an actual bill to speak of. Well, now thanks to Sen. Feinstein’s website, we know what the bill will look like. Senator Dianne Feinstein is no friend of the Second Amendment. After the movie theater shooting in Aurora, Colorado, Sen. Feinstein called for a new assault weapon ban. Now, however, she’s claiming that it’s even more important that these so-called “assault weapons” be taken off the streets in light of the tragic events last week at Sandy Hook Elementary School. On Sunday Feinstein laid out details of the bill. — Economy adds 209,000 jobs in July, unemployment rate rises slightly: The economy added 209,000 jobs in July, according to the Bureau of Labor Statistics, and the unemployment rate increased from 6.1 percent to 6.2 percent. Economists had projected 233,000 jobs and that the unemployment rate would hold steady at 6.1 percent. Although the report didn’t meet expectations, this is the sixth consecutive month of 200,000-plus job growth. The labor participation rate — the percentage of Americans working or looking for work — increased marginally from 62.8 percent in June, a 35-year low, to 62.9 percent in July. 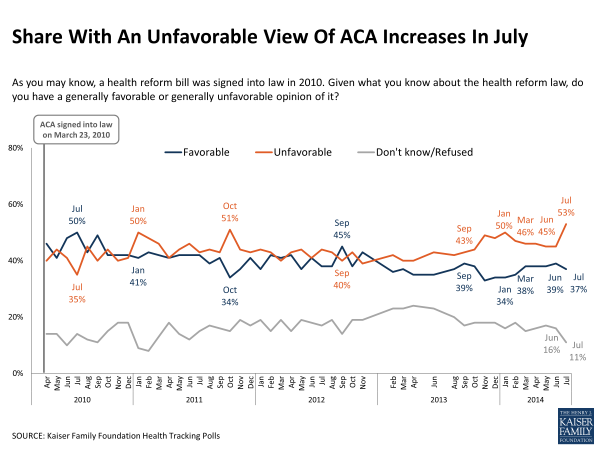 — Obamacare disapproval hits an all-time high: The Kaiser Family Foundation has released a new poll finding that unfavorable views of Obamacare have jumped to an all-time high since they began tracking opinions of the law in April 2010. The July tracking poll shows that 53 percent of Americans have an unfavorable opinion of Obamacare, while 37 percent view the law favorably. Sixty percent want Congress to “work to improve” Obamacare, while 35 want to repeal and replace it. 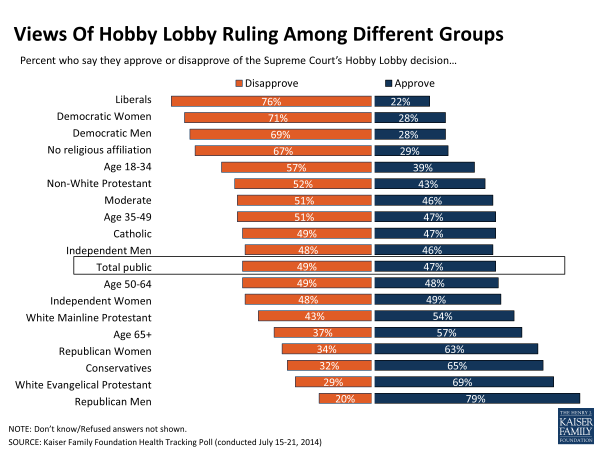 The poll also finds that Americans are evenly divided on the Supreme Court’s Hobby Lobby decision. At a time when the National Security Agency can collect the phone records and communications of millions of innocent Americans without a warrant or cause, the Senate Intelligence Committee is pushing a measure that would allow the controversial agency to access more of our personal information. Privacy and public interest organizations have come out strongly against the Cybersecurity Information Sharing Act (CISA), a measure that will make it easier for businesses to share information with the federal government, including the NSA. In a letter to the Senate Intelligence Committee Chairman Dianne Feinstein (D-CA), Ranking Member Saxby Chambliss (R-GA), and committee members, the organizations explained how CISA poses a risk to Americans’ privacy. 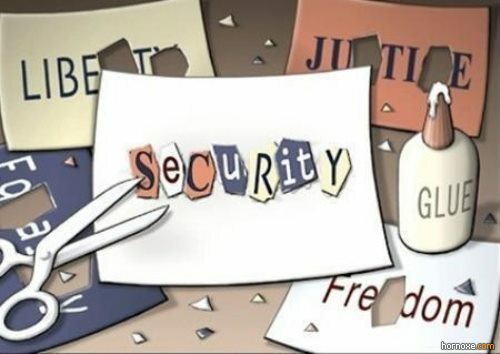 The organizations behind the letter include the American Civil Liberties Union, the Competitive Enterprise Institute, the Electronic Frontier Foundation, FreedomWorks, and the R Street Institute. The organizations explain that the NSA simply isn’t an honest player when it comes to Americans’ civil liberties. The intelligence agency has searched Americans’ communications without a warrant using laws that authorize the surveillance of only people outside of the United States and has exploited vulnerabilities in tech firms’ software and programs. Senate Judiciary Committee Chairman Patrick Leahy (D-Vt.), the lead Senate sponsor of the original USA Freedom Act, has repeatedly expressed disappointment in the House-passed version of the bill. He has pledged to “fight for a stronger USA FREEDOM Act” that bans bulk data collection. Other pro-reform committee members have joined Leahy’s calls. Sen. Richard Blumenthal (D-Conn.) said he is “very hopeful” that Leahy will move ahead with his version of the USA Freedom Act.